The Syrian government must resist the uprising — and has the people’s backing in quelling forces seeking “destabilization and Islamization” — according to one of the country’s most respected Catholic bishops. In a strongly worded defense of President Bashar al-Assad’s response to the protests and instability, Bishop Antoine Audo accused the media, including the BBC and Al Jazeera, of “unobjective” reporting, unfairly criticizing the Syrian regime. 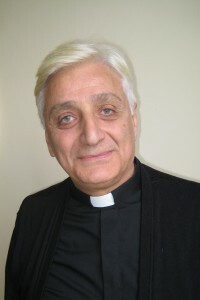 The Jesuit, who is the Chaldean Catholic Bishop of Aleppo, went on to warn that if Assad’s government was overthrown, it would cause widespread instability, a breakdown of basic services such as electricity, increased poverty and a drive towards Islamization. Bishop Audo warned that if President Assad was ousted, Syria would suffer the problems of Iraq post Saddam Hussein, with a widespread breakdown of law and order. The bishop was speaking after reports on Monday, June 13th, of a third refugee camp being set up on the border between Turkey and Syria amid no sign of an end to the violence and instability dating back to the end of January. The Syrian government has been strongly criticized for a hard-line military response to the uprising amid reports that the security forces have killed hundreds of protestors and injured many more. But the bishop stressed the scale of violence against Assad’s regime, saying how more than 100 police were killed within a few days and added that the government had a right to defend itself. Stressing how the violence was centered on the country’s borders, especially in the north, overlooking Turkey, he said that for most people in the Aleppo area, there was relative calm. But he did warn of increasing poverty, transportation and other communications problems and described growing unemployment. As a Catholic charity for persecuted and other suffering Christians, Aid to the Church in Need has worked with Bishop Audo to provide long-standing emergency aid for thousands of Christian refugees arriving in Syria from Iraq.